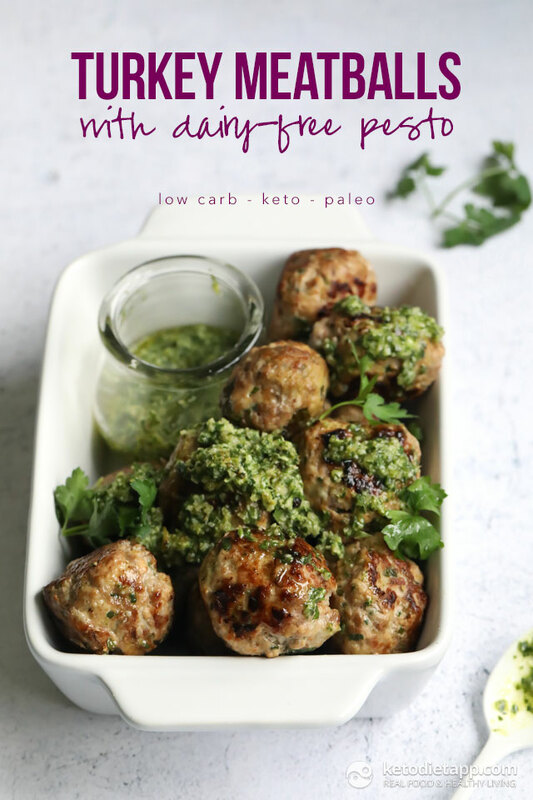 Meatballs are one of my favourite low carb dinner go-tos... and these ones will not disappoint. Packed with flavour and super easy to make. Serve with the dairy free basil pesto for a real crowd pleaser. Can be baked or pan fried and freeze really well so you can make up a big batch for when you’re busy and need something Keto-friendly on the quick. Enjoy as a side or picnic food now the weather’s getting warmer or why not serve with some low carb mash or courgette (zucchini) noodles? Weekday winner dinner right here! Note: you can try other keto-friendly pesto sauces. 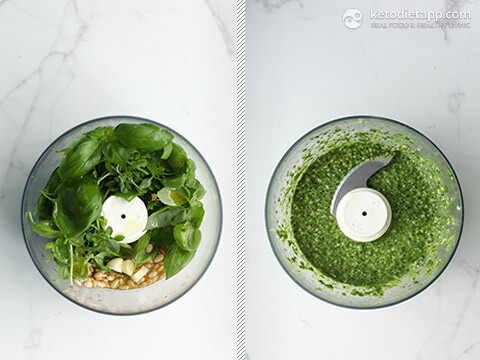 Simply place all the ingredients in a high speed food processor. Blitz until combined. It should still have textured, so not too smooth. Peel and finely dice the onion and garlic. Zest the lemon. Finely chop the parsley. Place the mince, onion, garlic, lemon zest, parsley, paprika and optional chilli in a bowl. Season with salt and pepper and mix well with your hands. 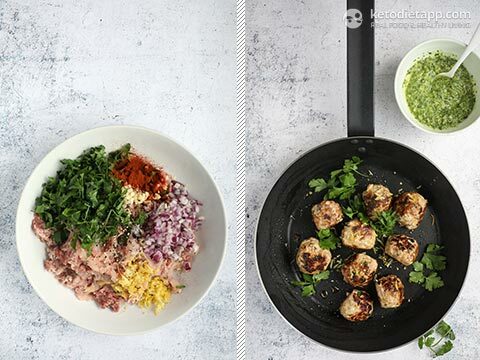 Shape into 16 to 20 meatballs. To pan fry - Add a little olive oil to a non stick frying pan. When hot add the meatballs. Fry for 15 minutes, turning regularly until golden on the outside and cooked through. Alternatively you can place on a greaseproof lined baking tray and roast in the oven (190 C fan assisted/ 375 F) for 20 - 30 minutes until lovely and golden brown. Drain the juices after about 15 minutes and turn. 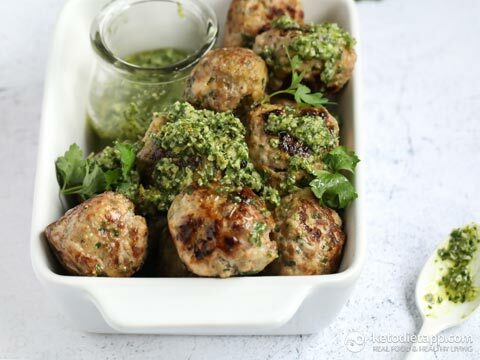 Serve the pesto over the meatballs or on the side for dipping. These look amazing and are going on the meal plan next week! This looks like something I will love. Making it tonight. 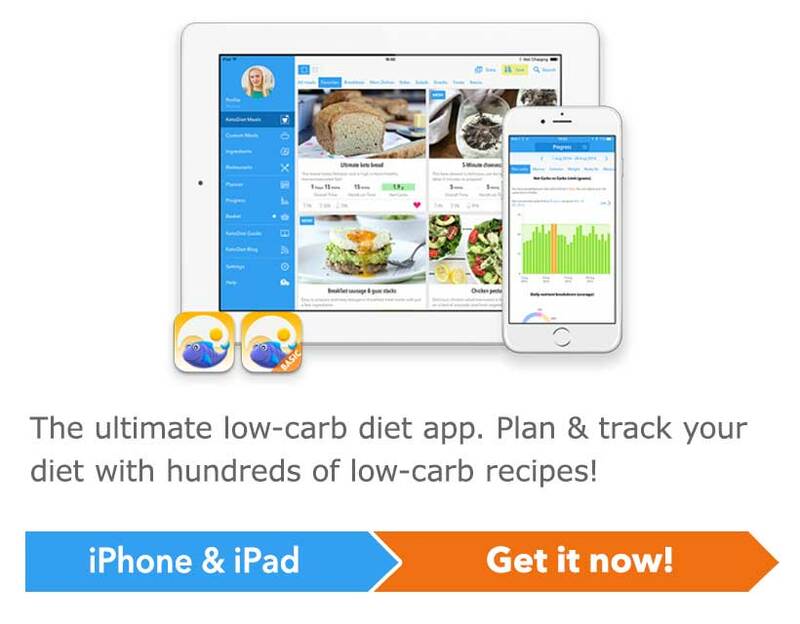 I can't wait to try this recipe - sounds great!